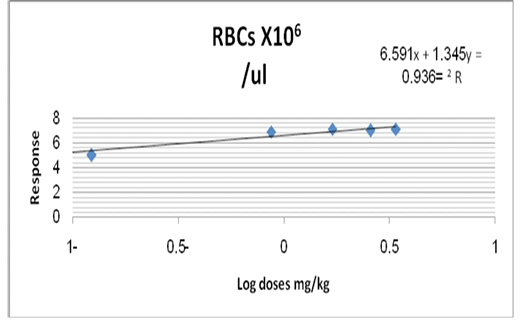 Log dose response curve of folate extract on Rbcsx 106/µl of mice at late pregnancy. 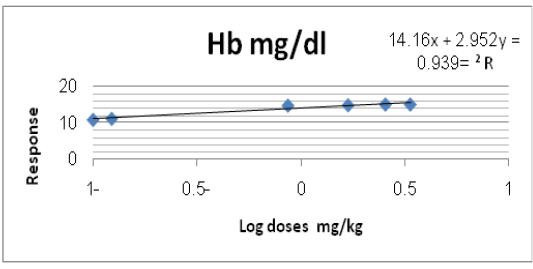 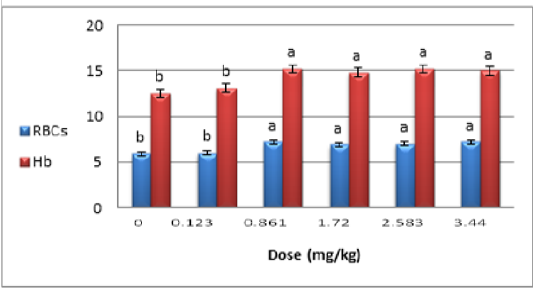 Log dose response curve of folate extract on Hb (mg/dl) of mice at late pregnancy. 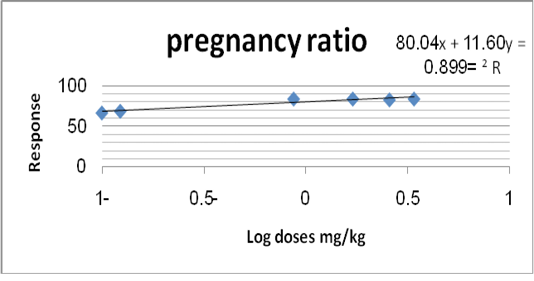 Log dose response curve of folate extract on pregnancy ratio (%) of mice at late pregnancy. 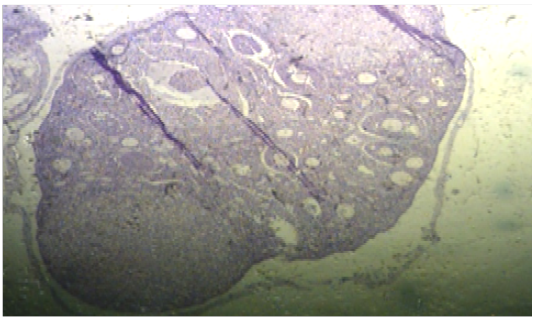 Histopathological section of G2 showed the endometrium of uterus and the presence of surface epithelium, lamina properia and increase number of endomaterial gland with dilation of blood vessels (H&E X 100). 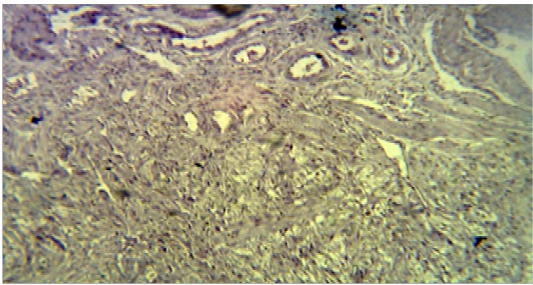 Histopathological section of G4 showed hyperplasia of endometrium of uterus (H&E X 40). 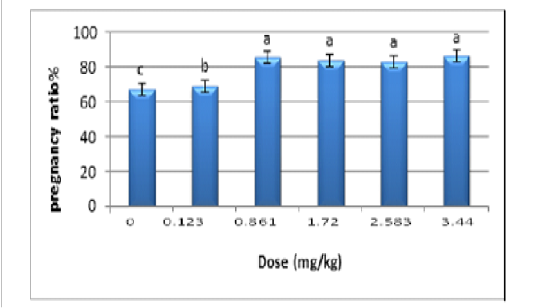 Histopathological section of G3 showed increase in number of the endometrial glands that glandular epithelia are tall columnar with rounded basal nuclei and blood capillaries, and stromal cells, as compared with control group (H&E X 40). 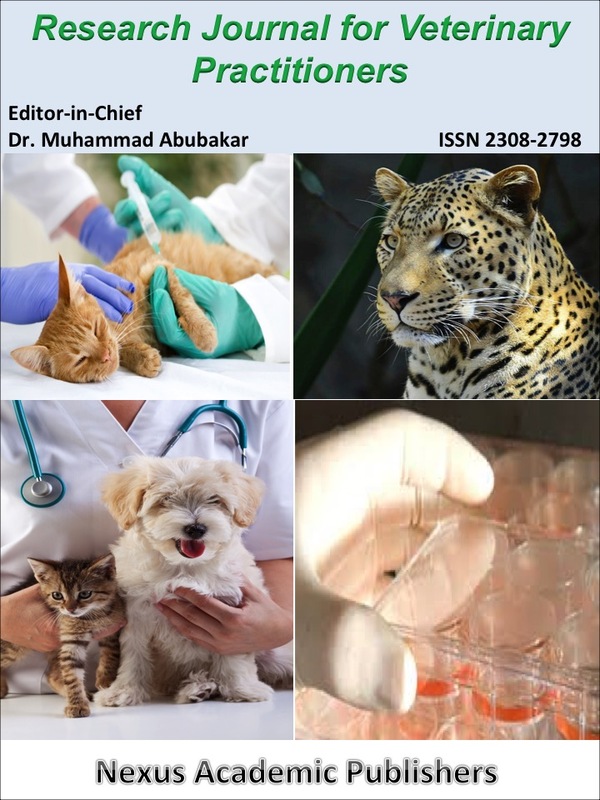 Histological section in G1 showed normal uterine tissue (H&E X 100). 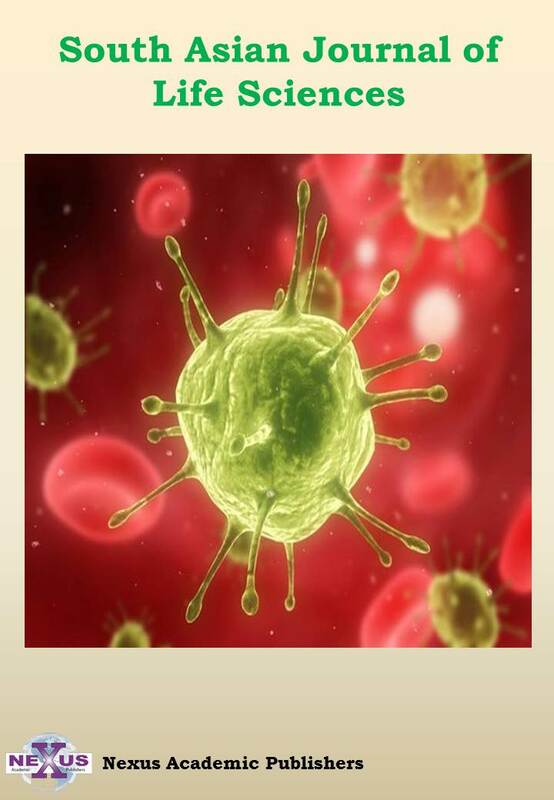 Histopathological section in ovary of G2 showed the cortex contained numerous follicles at various stages of maturation and corpus luteummore than G1 (H&EX40). 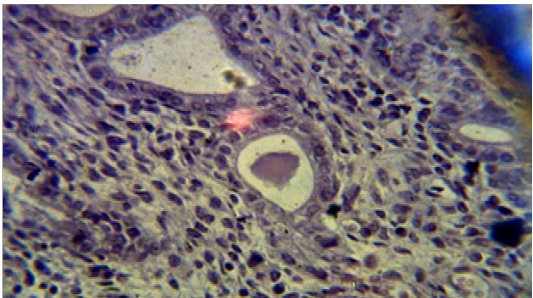 Histopathological section in ovary of G4 showed the cortex contained numerous follicles at various stages of maturation (H&EX400). 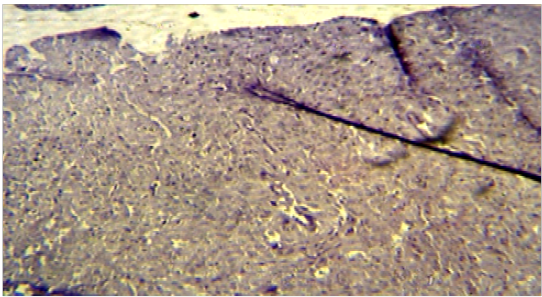 Ovary section of G1 showed the cortex contained several follicles at different periods of maturation, medulla contained lymphatic’s, nerves and numerous blood vessels (H&EX40).